Every NHL team has a “window”, and what it means is: the period of time they are most likely to win a Stanley Cup given their current roster. For example: the San Jose Sharks have a window that is all but closed, as their core is full of vets on the wrong side of 30, and they’re all on huge contracts leaving them little wiggle room to add any younger stars. 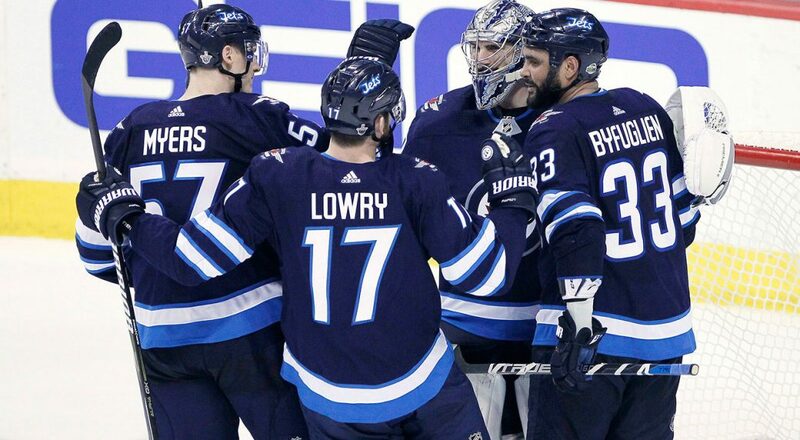 On the other hand, a team like the Winnipeg Jets has a window that is just opening as their core is full of young, talented players and they’ve already taken that next step as they are coming off of a conference final appearance. Now with that being said, the question is: What is the window of the St. Louis Blues? First things first, we need to identify their core. In my opinion, right now their core is made up of Vladimir Tarasenko (age 26), Alex Pietrangelo (28), Ryan O’Reilly (27), Jaden Schwartz (26), Brayden Schenn (26), and Colton Parayko (25). All of the most important pieces for the Blues are under 30, with their most important 30+ player being Alex Steen (34) whose regression shouldn’t hurt the Blues very much at all. The Blues also have plenty of young, exciting talent emerging in Robert Thomas, Jordan Kyrou, Vince Dunn, and Robby Fabbri, all of whom are 21 or under besides Fabbri who is 22. The Blues have a really solid mix of young, exciting players and older, experienced vets. If you look at the rosters of the last few Stanley Cup champions, they’ve all been built the same way. They have their few superstars: (Ovechkin, Backstrom, Crosby, Malkin, etc.) and then a good chunk of young players to surround them with: (Vrana, Burakovsky, Sheary, Guentzel, etc.) The Blues roster heading into the 2018-2019 season is constructed in a very similar fashion. However goaltending is still the one question mark with the Blues. By now, everyone has read plenty of articles about Jake Allen, and the future of our goaltending, so I won’t get into that here. However I think that the rest of our team is so strong, that as long as Jake Allen is simply above average at best, we can win a Stanley Cup. The other question mark some may have is Mike Yeo. However I think that he is a young coach, and this upcoming season is the best roster he’s ever been given, and I’m excited to see what he can do with it. Can he be a Stanley Cup winning coach? I don’t see why not. All of this being said, the question still remains: What is the Blues’ window? I think it’s fair to say that this current team, at least on paper, is the best team they’ve had in a long, long time. So based on that, you can say that their strongest window to win a Stanley Cup is just opening this year. None of their core players are regressing due to age any time soon, and there’s no reason to believe we’d lose more than one or two of them to free agency in the future, as most of them are locked up on long term contracts. Even if we did lose one of those players, we have promising young players who could hopefully step up and attempt to fill their role. The Blues are in the perfect spot. They aren’t filled with vets, counting down the days until they fall into mediocrity when everyone gets too old and is payed too much. (I’m looking at you, Chicago) Also, they aren’t filled with only young players, lacking the veteran presence and experience needed for a deep, successful playoff run. There are few, if any teams in the NHL in a better spot than the Blues long term. The Blues have a real chance to win the Stanley Cup at least once in the next 5 years, and I’m fully confident we have the pieces to do it. Next Post Finding The “Next” Alex Pietrangelo Through The 2019 And 2020 NHL Drafts?